With so many models to choose from, it’s hard to believe there are only two major players in this space. Don’t worry, we’ll help you find just the right model. Folks used to think that e-readers would relegate traditional paper books to the scrapyard of the past and destroy the publishing industry as we knew it. But, in the time since the first Kindle e-reader was unveiled in 2007, the dire declarations of what effect the devices might have on our reading habits and on publishers have given way to widespread acceptance from industry wonks and bookworms alike, for one simple reason: E-readers are pretty great. Lightweight, easily readable in direct sunlight or, on models equipped with a built-in backlight, in the dead of night, an e-reader is an excellent choice for browsing periodicals, documents, comic books, and of course, books. Most are capable of storing thousands of books—and with power-efficient E Ink displays, word aficionados can typically read for weeks at a time before their device’s battery will need to topping off. These are all great features but, as they’re all features that most e-readers share, choosing which device to buy can be daunting. Don’t worry, we’re here to help you find the device that suits your needs. We’ve assembled reviews of the most popular e-readers on the market today—as well as some you might not have heard of that deserve your attention. The buying advice you’ll find here is the culmination of months of research and hands-on testing, reinforced by years of experience in hardware journalism and a profound love of reading. We hope you’ll enjoy our in-depth reviews, but if you’re just looking for a quick buying advice, you’ll find our top two picks—and a money-is-no-object recommendation below. Prefer to do your own research? Scroll down to the features we think you should look for in an e-reader. Updated 3/22/2019 with news of the All-new Kindle, the updated affordable model (starting at $89.99 on Amazon with Special Offers, or $109.99 without Special Offers). Read more about it in our All-new Kindle news story, where we also compare its specs to those of our top pick, the Kindle Paperwhite. It ships April 10. Stay tuned for our review. With the All-new Kindle Paperwhite (available on Amazon), Amazon’s not only managed to catch up to the competition like the Kobo Clara HD, it’s lapped them. 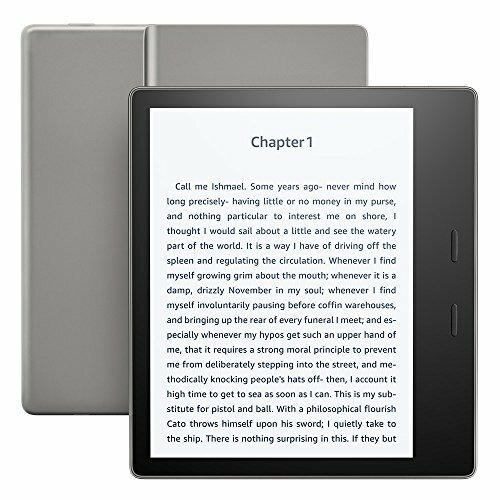 The new e-reader’s premium features, reasonable price, and wide variety of content make it the best e-reader for most people. Read our full review. When you buy a Kindle Paperwhite, you’re not just getting a piece of hardware—you’re investing in access to the largest ecosystem of downloadable text content in the world.Every Kindle owner can access Amazon’s massive online store full of electronic books, magazines, newspapers, and periodicals. That’s something no other e-reader company comes close to competing. Voracious readers can also opt for a subscription to Kindle Unlimited, which provides unlimited monthly access to more than 1.4 million titles. If you’re an Amazon Prime member, you’ll be able to borrow books from the Kindle Owner’s Lending Library or from Amazon Prime Reading. 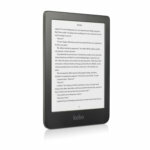 Kobo’s Clara HD (available from Rakuten Kobo) appeared at a time when Amazon’s Kindle Paperwhite was getting long in the tooth. While the All-New Paperwhite has caught up in features and design, the Clara HD is still a strong competitior, especially if you want to stay free of Amazon’s clutches. The content you lose if you forsake Amazon is the Clara HD’s only major challenge. Read our review. Note: We’ve transitioned our e-reader coverage to PCWorld, starting with this 4.5-star review of the Amazon Kindle Oasis (2017 model). When price is no object, the Kindle Oasis is the e-reader to buy. While it doesn’t have the large display of Kobo’s Aura One, the Oasis provides luxury in the form of choice and brilliant industrial design. With built in 3G and Wi-Fi connectivity, you can download read books and periodicals on the Oasis’ bright, high-resolution display just about anywhere you go. The Oasis is the lightest e-reader we’ve tested so far, yet can still hold enough power to allow you to read for weeks at a time. The Kobo Aura One is a robust, versatile e-reader suitable for anyone who's not already heavily invested in the Amazon ebook ecosystem. The Kobo Aura One is a big e-reader with a 7.8-inch, 300 ppi display and twice as much storage as any product we reviewed. We weren’t impressed with its backlight, which the manufacturer claims doesn’t emit the type of blue light that can interrupt sleep cycles, and you can’t get 3G connectivity with any of the Kobo products, but the Kobo Aura One left us happy in every other respect. Backlight You can use an e-reader with an adjustable backlight in almost any environment. The light will illuminate the text, but it won’t disturb others around you (including your bed partner). It’s a feature that adds cost to the e-reader, but we think it’s essential to having a good user experience. Battery life and charging Part of the appeal of an e-ink reading device, especially when compared to a smartphone or tablet, is how little power it takes to display text and images. If you run across an e-reader that provides less than a few weeks of use before it needs to be recharged, keep running. When the time comes to top off your e-reader’s battery, you shouldn’t have to deal with proprietary cables, AC adapters, or charging docks, either. Look for a device that recharges and/or syncs with your computer via micro USB. Build quality Owning a piece of technology that’s so light and thin you scarcely remember that it’s in your backpack until you pull it out to use it is a win—but only if its svelte profile and heft don’t come at the cost of durability. We’re not saying that your e-reader should be built like a tank, but it should be able to stand up to the casual abuse it’ll suffer by being knocked around in a purse, backpack, the backseat of a car, or if it’s accidentally knocked off your bedside table. Connectivity An internet connection delivers the most convenient means of downloading new reading material and connecting to online resources such as dictionaries. Most people find Wi-Fi to be good enough, and every e-reader will have a Wi-Fi adapter onboard, but a 3G connection is a luxury you’ll appreciate every time you’re in the car, on the bus, and anywhere else you can’t log into Wi-Fi. Sure, you could create a hotspot on your phone and connect your e-reader to that, but you’ll never have to think about it if your e-reader is equipped with 3G. Yes, you’ll pay more up front for this option—like we said, it’s a luxury—but that includes the ongoing cost of service for the life of the e-reader. Content The best e-reader is little more than an expensive paperweight if it doesn’t connect you to vast variety of reading material. This can come through a couple of different channels. Most people will top off their device with fresh reading materials from a well-stocked online store, such as the ones offered by Kobo, Amazon, and Apple’s iBook Store (for Apple products only.) 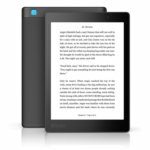 Choose an e-reader that supports a wide range of electronic publishing formats and you’ll be able to draw from a nearly endless supply of free publications via public libraries and other sources. DRM The acronym stands for digital rights management, it’s a technology designed to protect intellectual property—such as digital books—from being copied and shared. On-device storage An e-reader typically won’t allow you to download files other than reading material—or in some cases, audio content—so you won’t need the expansive storage that you’d want with a digital audio player, a tablet, or even a smartphone. That said, you’ll want to be able to store a ton of books, magazines, and other publications when you don’t have access to the internet. An e-reader with three or four gigabytes of internal storage is capable of holding thousands of novel-length publications. You’ll also find that some devices come with expandable storage, which can come in dead handy if your reading habits include perusing large PDF files or listening to audio books. User experience A number of factors will impact an e-reader’s user experience. Resolution is the most important—the higher the better, so as to eliminate jagged edges on letters. Variable font size support, so that you can make the text optimal size for your eyesight. An adjustable backlight, so you can dial it in for the room you’re in or let the device automatically find the right balance between optimal brightness and battery life. A user interface that makes it easy to navigate the book, turn pages, buy new books, make annotations, and share passages with friends. We’ve pulled together eight e-reader reviews for this story, and we’ll add new products to the list as they become available (and remove models as they reach end of life). A note about the prices of the Amazon e-readers: You can remove Amazon’s ads from a Kindle’s lock screen before or after you order it. It will cost you $20 either way. The 3G option, of course, must be specified when you order the product, it cannot be added after delivery. That adds $70 the price tag. You’ll be hard pressed to find a more competent, feature-packed e-reader for the money. But we recommend paying a little extra to avoid Amazon's "special offers" option that puts ads on the Paperwhite's lock screen. 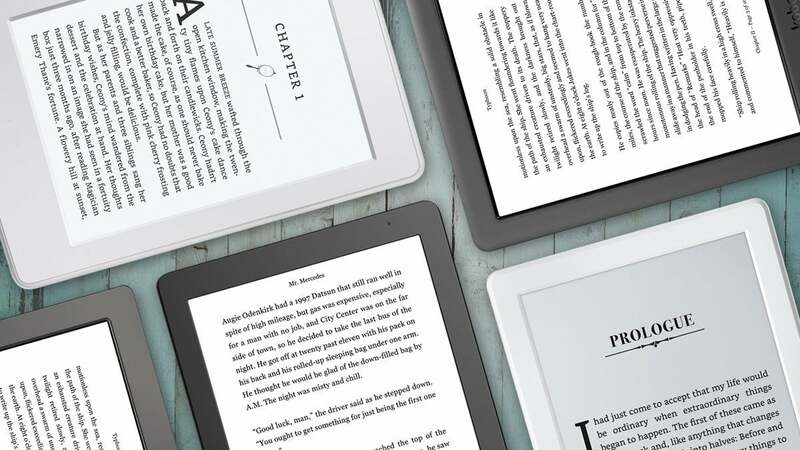 Amazon already had the best e-reader on the market with the Paperwhite. Amazon raises the bar with the Voyage, but pumps up the price tag at the same time. The Kobo Glo HD delivers all the features you want in an e-reader without any unnecessary bloat. We also appreciate its ability to read a diverse selection of file formats, but we have reservations about its build quality. If you do a lot of your reading poolside, on a boat, in the bath, or in the desert, the Kobo Aura H2O's IP67 rating for water and dust resistance offers an impressive amount of protection from water and dust incursion. But other, less-expensive e-readers deliver better reading experiences. If you need a waterproof e-reader, the Kobo Aura H2O is a better value; but if you're locked into Amazon's Kindle ecosystem, Waterfi's offerings are worth the price of admission. That's especially true if you own a Kindle Paperwhite that's free from Amazon's "special offers" and just want it waterproofed for $99. It's the best Kindle by far, but it's not the best value in e-readers. The Raktuken Kobo Aura H20 Edition 2 is a waterproof, mildly flawed e-reader that’s worthy of your consideration. With other, more capable e-readers available at around the same price, we can’t think of any reason why anyone should invest in the Kobo Aura Edition 2. Consider buying it if you find it on sale. Otherwise, give it a pass. For everything the All-New Kindle gets right, it gets enough wrong to keep us from recommending it. Its low-resolution display and the absence of a backlight keeps its cost low, but those shortcomings also rob the device of some of the things that make a modern e-reader a desirable purchase. With its low display resolution, sluggish performance, and questionable app security, you’d do well to avoid this Android-powered e-reader.